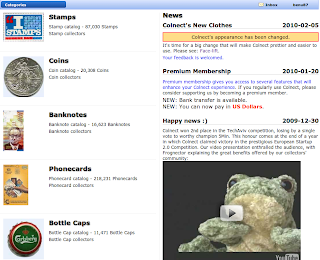 Colnect's popularity amongst collectors has surged in recent weeks, with site traffic reaching record levels and new members signing up at unprecedented rates! For instance, Colnect received an impressive 5,000 visits yesterday (February 22), whereas only 1 month ago we were setting records with a mere 4,000 daily visits. This indicates a phenominal growth rate and should bode well for our goal of developing an extensive collectors community touching every corner of the globe. The number of new collectors has also smashed all previous records, as 48 new members signed up on February 22 alone while 258 registered for that entire week (both records we plan to break soon). A key reason behind this exceptional progress is likely our recent overhaul of Colnect's layout to make the entire site more user-friendly, attractive, and easier to navigate. These changes have received overwhelmingly positive feedback from long-term Colnect members and new collectors alike, who have responded by using the site more than ever to meet their collection needs. 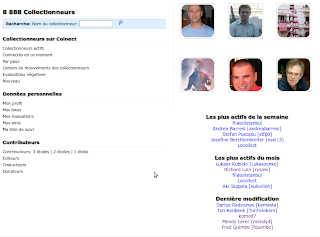 Some credit also goes to Colnect's volunteer translators and their manager, Ben Ulster, who have done an exceptional job translating pages from the site into 47 languages! These translations are an extremely important long-term project that should one day allow collectors from anywhere in the world to use Colnect in their native tongue. If you would like to contribute to Colnect through translations, catalog additions, or have any other feedback, please Contact Us. 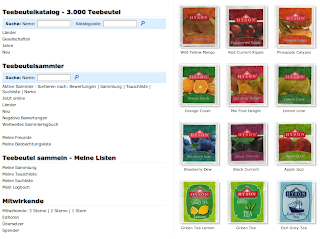 Colnect's tea bag catalog has grown steadily in recent months and now features over 3,000 tea bags from 48 countries. Although it's not among Colnect's largest categories, tea bags have developed a significant community of collectors on Colnect to connect and swap with. We would like to commend the hard work of the tea bags coordinator, Carine De Pauw, whose continued dedication to Colnect has earned her the prestigious 3 stars. 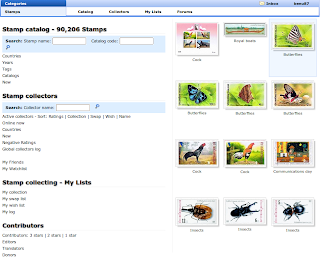 If you are a tea bag collector, feel free to sign up on Colnect and upload items from your collection to the site. The current success and future greatness of Colnect rests on the shoulders of devoted volunteers like Carine and YOU. Colnect set new traffic records in January, as over 111,111 visits were made to the site throughout the month, more than a 16.16% increase from December! This milestone reflects Colnect's continued surge in popularity and its strong commitment to expanding the resources available to collectors. January also saw a sharp rise in collector registrations, with a record number of new collectors joining the Colnect community. This recent growth means that 115 countries are now represented by active Colnect members. In addition, the number of Unique Visitors to Colnect jumped more than 17.17% compared with December to over 51,234, while total PageViews increased by over 24.24% to more than 2,727,272. Since Colnect is a unique site, we prefer to use non-round numbers in our reports. Although this latest news is extremely promising, the development of a truly global community is an ongoing process that requires unyielding effort from both administrators and volunteers. If you have any suggestions or ways to improve the site or would like to help add new items to our catalogs, please don't hesitate to contact us. We are also currently looking for translators to help display Colnect pages in many languages, with the following being of particularly high priority: Japanese, Vietnamese, Chinese (especially Traditional script), Hindi, and Punjab. Colnect is proud to publish its narrow 2nd place finish at last month's Tech Aviv Competition onto Youtube and other video-sharing sites. The video shows Colnect's entire presentation to the hundreds of Tech Aviv members in attendance and clearly illustrates the rapturous reception we received from the audience. It begins with an updated and more comprehensive version of the entertaining video displayed at Colnect's victory in the European Startup 2.0 Competition and concludes with a brief discussion about the company by founder Amir Wald. Since this competition and the video's creation, Colnect has added even more languages and continued the expansion of its catalogs to enhance the collection experience for our global community. We rely on dedicated volunteers to contribute their knowledge of a particular language or collectible category in a similar fashion to Wikipedia. If you would like to get involved in improving Colnect or have suggestions for new collectibles that should be added, please don't hesitate to contact us.